LNER Class A3 no. 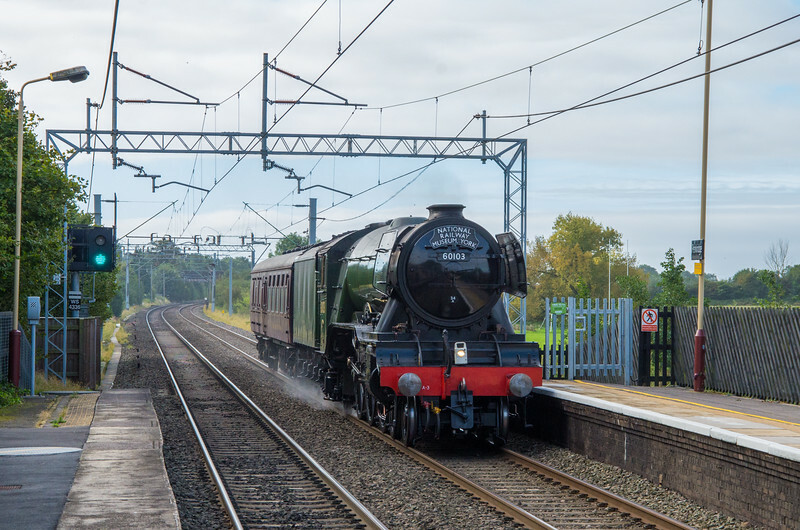 60103 'Flying Scotsman' is seen steaming through Penkridge station on route to the East Lancashire Railway from the Severn Valley Railway, working 5Z72 Kidderminster S.V.R. to Castelton Hopwood Ground Frame.